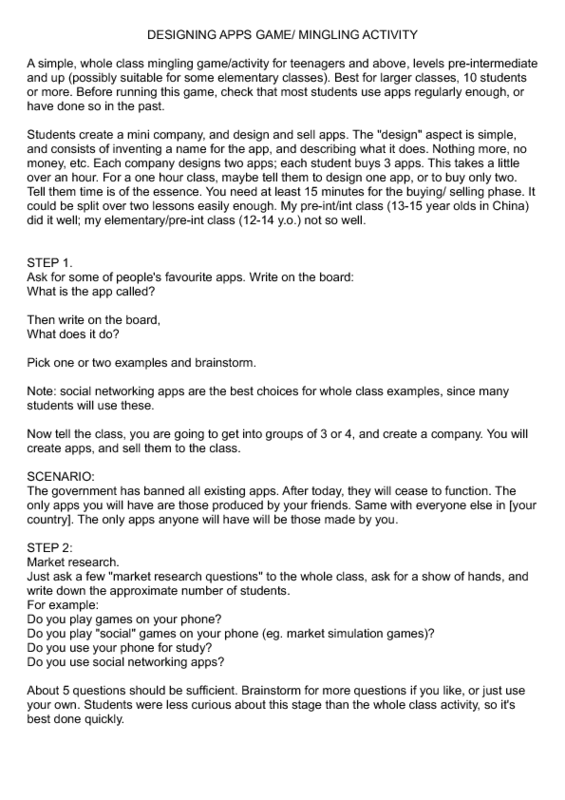 Students create a mini company, and design and sell apps. The "design" aspect is simple, and consists of inventing a name for the app, and describing what it does. A simple, whole class mingling game/activity for teenagers and above, levels pre-intermediate and up (possibly suitable for some elementary classes). Best for larger classes, 10 students or more. 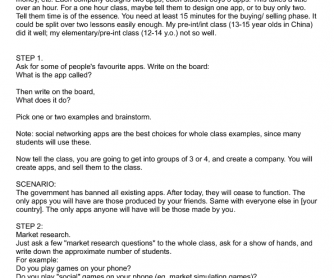 Before running this game, check that most students use apps regularly enough, or have done so in the past.